Hello! Today I have a Wink Wink Ink card to show you that uses the 'Angel Kitty' image. These images were originally created to be used as Pet Sympathy cards, but they also work well for baby cards and thank you cards. Here I used it as a Thank You card by just adding my own sentiment using my computer. The paper is from Basic Grey 2 Scoops, and I used Spellbinders Nestabilites Dies for the main image panel and sentiment tag. The organza ribbon is from JoAnn's Fabrics and Crafts. Hello and Merry Christmas everyone! I'm sure NO ONE is looking at my blog today, being it's Christmas and all, but I'm sure some people will pop on over in the next few days and see this post, so it's still worth it. First of all, I'd like to announce that I was selected as a designer for McMahon Five Designs. I'm really excited about it, because they are a great company that sells not just digitals, but also stamps and just about anything you could use in paper-crafting. The company also has several different illustrators, so there is quite a diversity of styles for me to play with. And what I really love about this company is that they have a lot of vintage images that are not original artwork, but are free domain old images that are cleaned up, restored, or even completely redrawn to make it easier for paper crafters to play with them! I'm very anxious to begin working with the vintage images. Now most of you are probably wondering, what about Wink Wink Ink and the Digital Tuesday Challenge? I still plan on continuing with both of those commitments. The Digital Tuesday Challenge is obviously posted on Tuesday, McMahon Five Designs will be posted on Thursday, and I can post my Wink Wink Ink projects any day of the week, so I see no conflicts. And if time becomes an issue, I can always use a digital from one of the two companies for the Digital Tuesday Challenge and 'kill two birds with one stone' as the saying goes. And here is the card I made with the Freebie 'Hope'. I used a sketch from Cindy Haffner (CAC66). The paper is Pretty in Pink and the new Bo Bunny Valentine Pad. I freely stitched around the edges with my sewing machine and put a doily in the background. 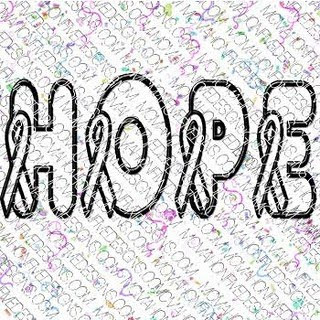 The pink breast cancer ribbon is a brad. Hello and welcome to another Digital Tuesday Challenge. This week's challenge is "Let's Celebrate'. Simply make a card or project that celebrates a holiday or event and includes at least one digital image. Our sponsor this week is the fabulous Dustin Pike and he is giving away 3 digis to one lucky randomly chosen winner. To make my card, I used an old Dustin Pike freebie "Party Elephant". The sketch is from "I Love to Stamp" and the paper is from K & Co 'Hopscotch Boy Mat Pad". I used a cupcake epoxy chipboard icon from Colorbok 'The Sweet Life' as my accent. The sentiment tag was cut with a Cuttlebug Die and I hand-wrote the sentiment. I put Stickles on the cupcake and the candle, and added a clip, ribbon, and dew drops for more embellishment. If you'd like to play along with us this week, simply click on the Digital Tuesday Challenge Blinkie in my sidebar and it will take you directly to the Challenge Site with further instructions. Hello! Today I have a Wink Wink Ink card to show you that uses the Dachshund image called 'Doxie'. To make my card I used paper and sentiment tag from a DCWV kit called "Scrapbook in a Stack 'dog'". The sketch is from Mojo Monday. I printed the image out twice, and cut out and popped the dog's head up on dimensionals. It reminds me of one of those bobbles you see sitting in the back of car windows! LOL! Here is a close up of this cutie! Hello! Today I have a Penny Black card to show you that I made for the Penny Black All Sorts Challenge 'Beauty is in the Eye of the Beholder'. They wanted us to create a card that showed what beauty meant to us. Well, that was an easy answer for me: SPRING! I LOVE SPRING! There is nothing more beautiful in the world for me than the fresh, newness of Spring and everything it offers: Gorgeous blooming bulbs and trees, little birds coming home to build their nests, the air filled with the fragrance of lilacs, the grass turning green again, and the longer, and WARMER days. We've had a really rough week here in Wisconsin. We had a blizzard that dropped 24 inch's of snow on us on Saturday, and then on Sunday came the 'FREEZE'. The temperatures dropped many, many degrees below zero. When I came home from work yesterday, my house was only 48 degrees and my pipes were frozen. Why you ask, because my husband turned off the heat since we both work so much and no one is home anyway. Uh duh! you do not turn off the heat when its BELOW ZERO!!!!! I don't think I slept all night. I was so cold. It took FOREVER for the house to heat up with just a wood stove and in-floor heating. I think I've just now thawed out. Anyway, that's why I love SPRING and find it so beautiful. Onto the details of my card. I used a sketch from Splitcoaststampers (SC 302), the paper is Cosmo Cricket, the bird button is by Heidi Grace, and my Penny Black image is from a spring stamp set I bought last year. I mounted it up on dimensionals and put Stickles on the flowers. The sentiment is chipboard. I thought after hearing my miserable story you'd like to see a picture of 'WHY I HATE WINTER'. This is me standing in my sun room. That is a snow drift outside my window. I'm 5'7. Nice, eh? Spring can't come soon enough for me. Hello and welcome to another Digital Tuesday Challenge. This week's challenge is 'Sparkling Christmas'. Simply make a card or Christmas project that has some sparkle on it and uses at least one digital image. 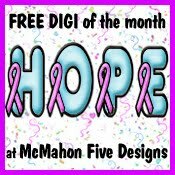 Our sponsor this week is Fairy Dust Crafts and they are giving away 5 digis to one lucky randomly chosen winner. To make my card, I used the Fairy Dust Crafts image 'Pengy - Christmas Igloo' and a sketch from "I Love to Stamp'. The papers are from DCWV 'The Winter Matstack'. I put Flower Soft on the snow on the ground, Liquid Applique on Pengy's ear muff, and for my 'Christmas Sparkle' I put diamond glaze from Stampin Up! on the igloo itself. The felt snowflake and sentiment are from the JoAnn's dollar bins. Here is a close up so you can see my 'Christmas Sparkle'. Hello! Today I have a couple of little boy cards I made using the Wink Wink Ink images 'Little Green Man' and 'Outer Space'. My first card uses the 'Outer Space' set, this is a fabulous set that includes several different planets, a space background, and the space ship I used in my card. All the paper in both cards is from DCWV 'All About Boys' stack. I also used the Mojo Monday Sketch 168 on my card. Ribbon, and button are from Stampin Up!, the string is from Martha Stewart. I also added adhesive crystals and star brads for embellishment. Here is a close up of the image. As always, the images are available in black and white and pre-colored, I chose to use the pre-colored images this time. My second card uses the 'Little Green Man' set which comes with this alien creature image and sentiment. The sketch is from Our Creative Corner. I popped the alien up on dimensionals, and used the pre-colored version again. Here's another close up for you! Digital Tuesday Challenge "Baby It's Cold Outside"
Hello and welcome to another Digital Tuesday Challenge. This week's challenge is 'Baby it's Cold Outside', simply make a card or project that has something to do with winter weather. Our sponsor this week is Whimsy Stamps and they are giving away 5 digital stamps to one lucky randomly chosen winner. To make my card, I used this adorable image "Warm Winter Wishes" designed by Crissy for Whimsy Stamps. The sketch is by Verve. I used a large Sizzix Snowflake Die for the Snowflake in the background. The paper is DCWV 'Winter Mat Stack'. I put Flower Soft on the snow on the ground, and Liquid Applique on all the penguins muffs and hats. I left off a sentiment because I thought there were enough words on the card as it was because of the designer paper. Here is a close up for you! If your crafting on a budget, there is no better place to shop than JoAnn's Fabrics and Crafts. My favorite spot are 'The Dollar Bins', where you can find so many goodies. 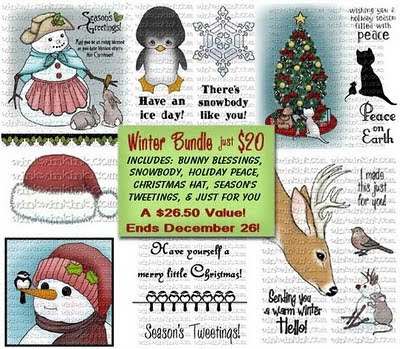 There are acrylic stamps, wood stamps, ribbon, embellishments, and anything else you can imagine for only $1.00. My latest find are these ADORABLE Felt Stickers. I thought they would make the CUTEST cards, and they did. Here is a group shot of three cards I made, and the some of the felt stickers. Here's a card I made using the Mitten Felt Stickers. I embossed the green background with a Cuttlebug Folder and then wiped white ink over it. The sentiment is retired Stampin Up. The tag is a Spellbinder's Nestabilities Die. The string is from Martha Stewart. My second card is my personal favorite. I hand cut the snow using felt and a pinking shears. Then I sprayed adhesive on it and sprinkled it with glitter. The ribbon has snowman images on it. I purchased that at Michaels several years ago. All the paper is from last years DCWV Holiday Stack. The foam snow flakes were also purchased at JoAnn's. And my last card uses the penguin felt sticker from JoAnn's. What a cutie hey? I love the Santa Hat. I hope I've inspired you to hit the dollar bins at JoAnn's....everyday they have something different in there, you'll never know what you'll find. Hello and welcome to another Digital Tuesday Challenge. This week's challenge is 'Animals at Christmas', simply make a card or project that has a something to do with animals and Christmas, and use at least one digital image. Our sponsor this week is Stitchy Bear Stamps ! This week I decided to use the new Wink Wink Ink image 'Just for You' to make a Xmas Gift Jar. I thought the sentiment was perfect for something hand made. The jar is an actual canning jar and it is filled with the ingredients to make Brownies. I layered the ingredients attractively in the jar, then covered the lid with some Debbie Mum fabric, and tied it on with a bow. I used the Wink Wink Ink image to make a tag. I put more fabric on the tag itself, then I added a Spellbinders Nestabilities heart, which I sponged with ink. The recipe for the brownies is on the back of the tag. Here is a close up of the top of the lid which shows this beautiful fabric. I purchased it from JoAnn's. I made TWO cards for you so you can see both sentiments and images available in the set. Here is the first one using the bird and 'hello' sentiment. Isn't that deer so beautiful! I love the expression in it's eyes! My paper is from Basic Grey, the deer images in the paper went perfectly with the main image! The felt snowflakes were purchased at JoAnn's. Here is a close up for you! My second card using the mouse image and the other sentiment available with the set. How cute is that snowman! The paper is also Basic Grey and the snowflake is from JoAnn's. Hello, and welcome to another Digital Tuesday Challenge. This week's challenge is 'Let it Snow', simply make a card or project that has snow, snowflakes, or is snow-themed and use at least one digital image. Our sponsor this week is MyGrafico and they are giving away 1 digi set and 20% off an in-store purchase to one lucky randomly chosen winner. To make my card, I used this elegant deer image from the "Traditional Christmas" set by Blackleaf Studios available for purchase at MyGrafico. I just LOVE all the images in this set! It comes with a gorgeous sleigh, an ornament, a tree, some holly, a bell, and hanging stockings! Everything you could possibly need to make some gorgeous Christmas cards. My sketch is from Splitcoaststampers (SC305), and the paper is last years DCWV 'The Winter Matstack'. I put the main image up on dimensionals, and added adhesive crystals to the drops of snowflakes next to the deer. Hello! I'm just popping in to let you know that there is a great challenge going on at the Wink Wink Ink Blog called 'Trim a Tree'. Melanie is not only giving away this adorable potted little tree image, but she is also sponsoring a great challenge using this image where there will be not just one, but THREE winners voted for by blog readers. All you have to do is go to the Wink Wink Ink blog, pick up your freebie, decorate your tree, and post your card. You have until Christmas Day to participate in the fun! I preferred the 'natural look' of the image, so I left my tree undecorated, but there are lots of examples by the Design Team of decorated trees for you to look at and get inspiration from. Because I thought the image was very rustic looking, I used last years DCWV 'The Holiday Collection' papers, sponged around my image to dirty it up a little, and added some country looking buttons and hemp. I stamped the sentiment directly on the designer paper. Hello! Today I have both a new Wink Wink Ink image to show you, and an old one. The old one is this adorable 'Poodle' image which comes not only in black and white, but also pre-colored in three different shades: black, white, and apricot! And the new image is this adorable 'Christmas Hat' which you can use on all your Wink Wink Ink images and is only $1.50!!!! To make my card, I used an old sketch from Verve and my favorite Christmas Paper Pad this year called 'Jovial Paper Pad' by Basic Grey. I printed the two images separately, and cut the Santa Hat out and glued it to the image so it went past the frame. The poinsettias I found in the dollar bin at JoAnn's. What a deal! Here is a close up of this cutie! I heard there is a really cute digital freebie on the Wink Wink Ink Blog, and a fun challenge, so go grab it and play along! I'll be posting my card for that challenge soon! Yes, I know its November! I'm behind on my Christmas Cards again. But then again, maybe I'm not behind at all, because I bet most of you haven't even STARTED your Christmas Cards yet, and I've already made 50! Ha! So There! As you probably already know, I participate in the Christmas Card Challenge on SCS where we make Christmas Cards all year long so were not scrambling in November/December to get them done. I committed to making 5 Christmas Cards a month, I've already shown you three for the month of October, so here are the last two. The first one is for the Penny Black All Sorts Challenge Blog. This month's challenge is 'It's beginning to look a lot like Christmas'. I actually used a regular Penny Black stamp from 'Critter Party' to make my Christmas Card because I thought the image would work for Christmas too! The frame and embossed background are one of the new Cuttlebug Dies which cuts, embosses, and pierces all at once! I love them! I put Stickles all over the raised dots on the embossed paper. Here is a close up of this cute image. My second card uses a digital image from 'Fred, she Said'. The background is also embossed with a Cuttlebug folder and then swiped with a white ink pad. The design on the right is retired SU! embossed with white embossing powder. I also added adhesive sequins. I hope you enjoyed looking at my Christmas Cards today! Only 5 more cards to go and I'm done for the year! Yippee! Hello and welcome to another Digital Tuesday Challenge. This week's challenge is 'Anything with Wings'. Simply make a card or project using anything with wings and at least one digital image. Our sponsor this week is our very own Digital Stamp Oasis and they are giving away three digis to one lucky randomly chosen winner. I'm always in need of Anniversary Cards, so I decided to use the Digital Stamp Oasis image 'Lovebirds'. The embossed paper was purchased at JoAnn's and has a beautiful shimmer to it. The glittered bow is very shimmery too. The card stock colors are Close to Cocoa and Certainly Celery. Well, the wedding was over four months ago, and I just now got the wedding announcements finished and mailed out to everyone, so I could finally post a picture. As most of you already know, my daughter's wedding was held inside our home, so space was very limited and we couldn't invite everyone we knew, as much as we would have liked too. I wanted everyone who wasn't able to come to the wedding to get a picture of the bride and groom and a little description of the wedding, so I made these announcements. The first picture shows the outside of the card. I used a retired Stampin Up! image and colored the groom in brown and the bride in ivory, since that was the colors of what they wore at the wedding. The designer paper was purchased at JoAnn's. The inside of the card has a picture of the bride and groom held in place with photo corners so that the recipient can easily remove it. There is a description of the wedding day on the opposite side of the picture. And sorry for the glare, but here is a close up of the happy couple. I saw this adorable Tissue Box Tutorial on Splitcoaststampers a few weeks ago and thought 'What a Great Idea!'. I love the fancy tissue boxes that appear every Christmas, but I never bought any because I thought it was too expensive in comparison to a regular tissue box. Now, I can make my own, and, make even nicer ones, because the ones in the store don't come with ribbons and bows! I thought the Wink Wink Ink image 'Seasons Tweetings' would be perfect for my tissue box because its already in a square frame. I simply printed the pre-colored image out to roughly the size of the box , cut it out, and glued it to my box. I added just a few embellishments, and waala! I have a beautiful Christmas Tissue Box Cover. I put the image on all four sides of the box which was made of black card stock. And if your wondering how easy this project was, it was SUPER EASY! The instructions were so easy to understand, and the whole project came together in minutes. The white scallop is white card stock punched with a Stampin Up! Borders Punch. Ribbon was added to the lid, and a poinsettia flower to the bow.